That is the most significant statement in the above extract from the WCB council ‘action register’ for its meeting next Tuesday. Quite a few people will be relieved about that, see the earlier Kapiti Observer articles. 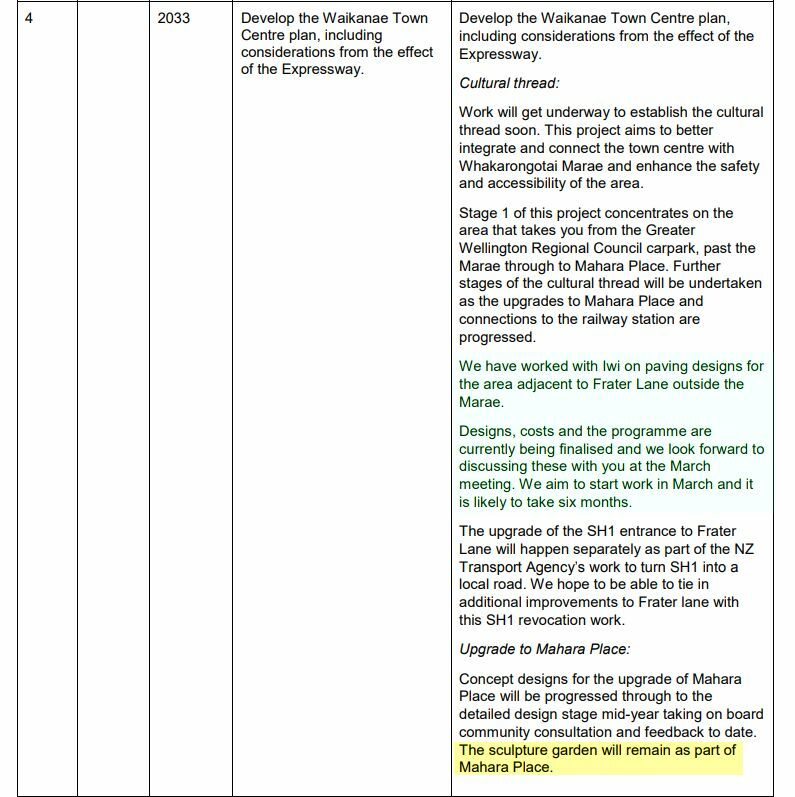 The other firm statement is that paving designs are being finalised for “the area adjacent to Frater Lane outside the Marae” and that work may start this month. Consultation with predominantly Ngati Toa and Raukawa bloodlines only. Parata Land – Wi Parata history Ngati Toa documented chief. NO! Maori who identify as having genuine Ngātiawa only Maori blood. Who are not influenced by the Toa, and Raukawa controlled A.R.T Confederation. Permitted to give history of this land pre-1872 and Native Land Court.